As guests arrive and depart, your hotel lobby will be the first and last thing they see, influencing the impression they make of your business. 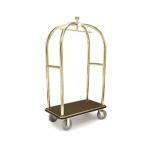 Provide them a welcoming environment and excellent customer service, and they will return time and time again. At Hotel Restaurant Supply we help you achieve that goal with everything you need to design and manage your hotel lobby and front desk. 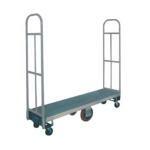 Lobby carts, coat racks, luggage accessories, transport carts, signs and stanchions, whatever you need it's all right here. 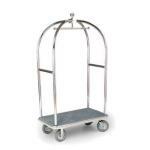 Browse our huge selection of bellman, utility and bar hand trucks. 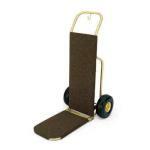 These hand trucks are ideal for stacking and moving guest luggage, heavy or awkward items. 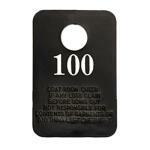 Browse our collection of coat check tags. These numbered tags are ideal for hotels and restaurants to properly identify guest property and prevent loss and theft. Browse our collection of traditional style call bells. 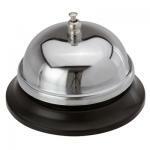 These countertop chrome table bells are perfect for hotel lobbies, food service counters and more! Here you will find our selection of suggestion boxes. 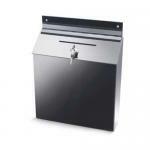 These wall mounted or countertop suggestion boxes let your guests provide you with valuable feedback! Browse our collection of signage products ideal for conferences and guest info, including flip charts, freestanding signs, presentation systems and more. Browse our large collection of coat racks. These chrome traditional style coat racks can be installed in closets to provide additional storage and hanging room.